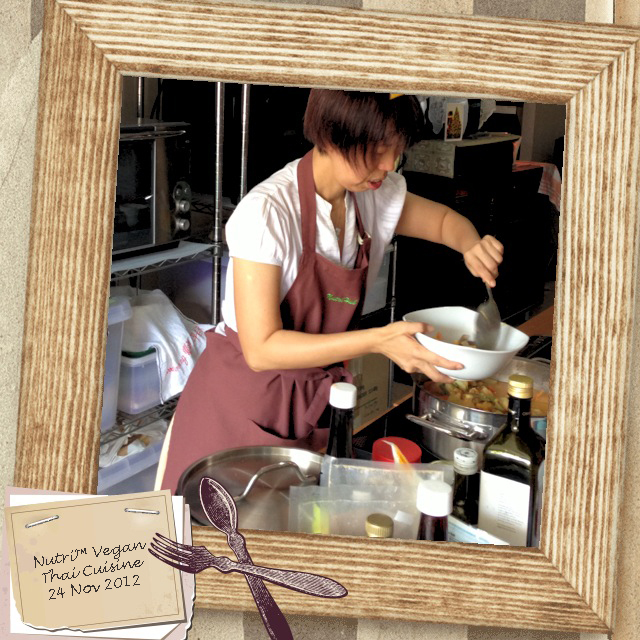 A group of 7 of us attended Teacher Vinitha’s Nutri™ Vegan Thai Cuisine Class on Sat 24 Nov 2012. 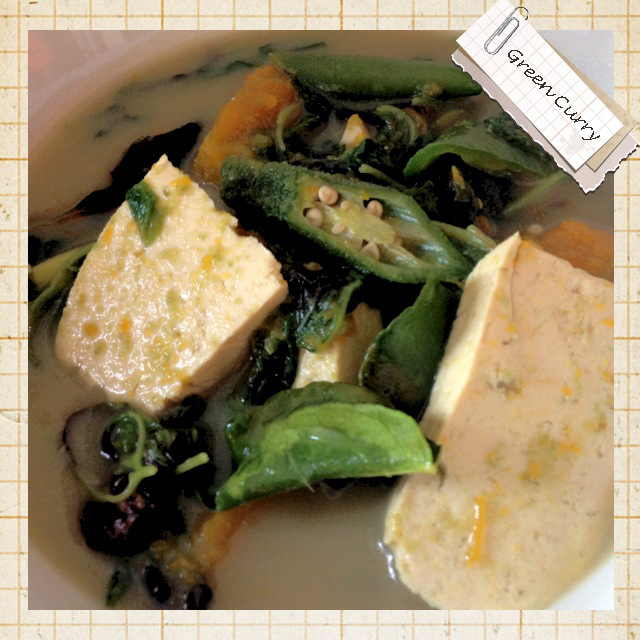 We were introduced a total of 4 dishes – Vegetarian Curry, Vegan Pad Thai, Tofu Green Curry and Basil Olive Brown Rice. 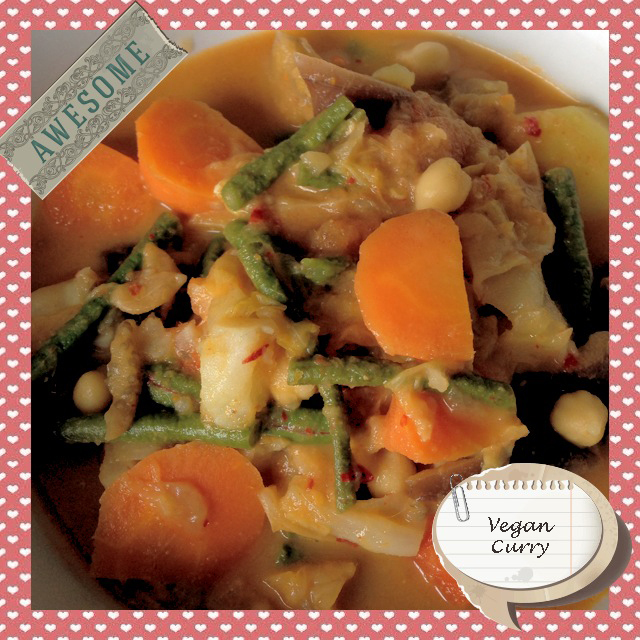 I have had the chance to taste NutriHub’s vegetarian curry once before at their previous cafe at Chinatown and was so satiated by it that I wrote a post on it. 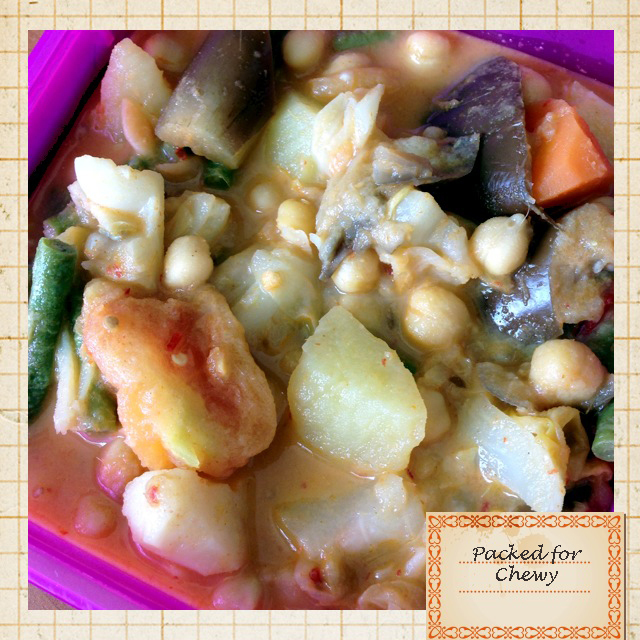 This time round, Vinitha used cashew nut milk instead of soy milk to make the curry. Traditionally coconut milk is used to make curries, but coconut milk has high saturated fat content, so soy milk and nut milk are much healthier alternatives. The vegetarian curry turns out as good as the last time I tasted it. Home-made goodness! 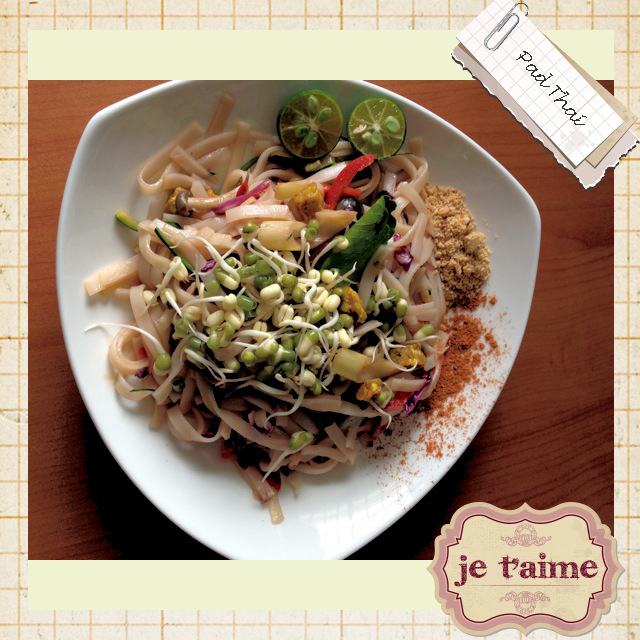 Our next dish is vegan Pad Thai using organic rice noodles. Look how beautiful the noodles turned out to be! The taste and smell of lemon grass and kaffir lime leaves are sublime. Some sprouted beans are served on top as garnish. These beans were sprouted by Vinitha and they tasted really crunchy! Vinitha said we should cut and eat the sprouts while they are young and not wait till the leaves appear. I have mentioned briefly in my previous blog on why sprouting nuts and seeds and even grains is good for us. I will explore in another blog in more detail about sprouting. 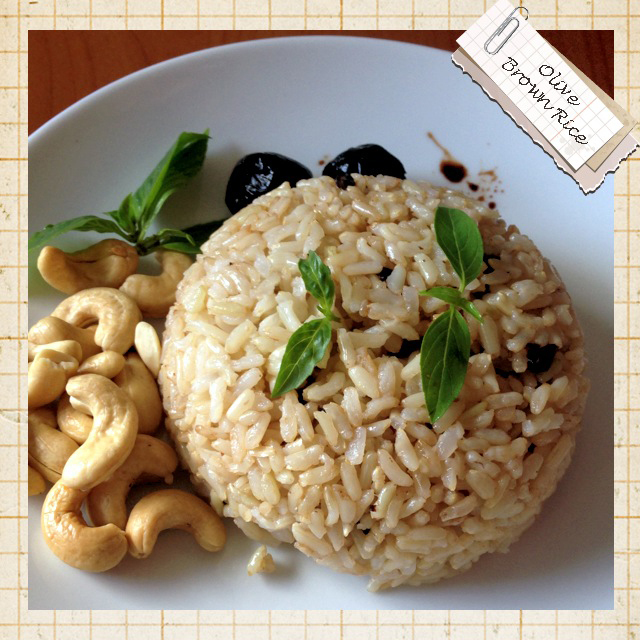 Next, we learn to make Tofu Green Curry and Basil Olive Brown Rice. Vinitha likes to use organic sunflower oil and organic grape seed oil in her cooking as these oils are lighter. I also learned that it is best to soak rice ( be it brown rice or conventional rice) before we cook them, to remove the acids and possible arsenic elements. Also, to make our rice even mroe delicious, we can put some rock salt or sea salt, as well as some oil into our rice before we cook them. Lastly, all of us get to pack some of the yummy food back to enjoy with our families. I will be back for the next couple of lessons (8th & 15th Dec), which are on vegan baking. 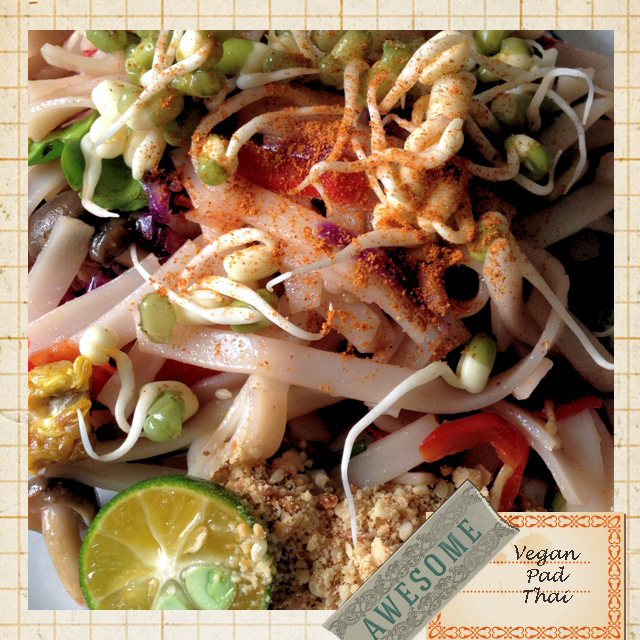 I also got to know that there will be additional NutriRaw™ Vegan Raw Asian Cuisine (Vegan Rojak!) class on the 22nd Dec. Please refer to NutriHub’s blog for more details. Remember, BGO Ecoshop’s friends get to enjoy 10% discount when you sign up!